No special measures are necessary prior to your first Hopi Ear Candling treatment. Before attending your appointments, make sure that you drink plenty of water. Avoid eating at least two hours before your appointment, but no fasting is required. But please do not come for your cleanse feeling hungry. An ancient, mild and natural therapy which may have been used by Native Americans for a wide range of ailments and over the years has found its way to Europe. Many of the population now benefiting from the relaxing effects of this therapy. HOW DO HOPI EAR CANDELS WORK? You lie on your side in a comfortable position. 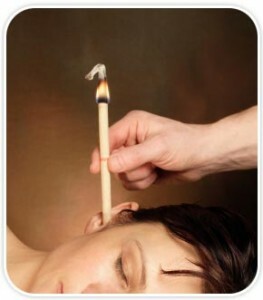 The candle is placed over the ear and is held in place by the practitioner. It is then ignited and continuously monitored as it gently burns. Gradually any impurities are drained to the surface many of which are carried away through the candle. The pleasant slight suction within the ear pressures will be felt. The warm airs combined with the heat soften the wax, this will be repeated on the other side. Prior to the treatment it is advisable to put a few drops of olive oil days before treatment as this will help to soften the wax. Each treatment takes aprox 30—60 minutes. Where long term conditions are treated you may sometimes experience slight headache and or occasional popping shortly after the treatment. After the treatment the contents of the candles are examined to see how effective the treatment has been to indicate how further treatments should proceed. Treatment can be repeated 3-7 days intervals following the first treatment session. 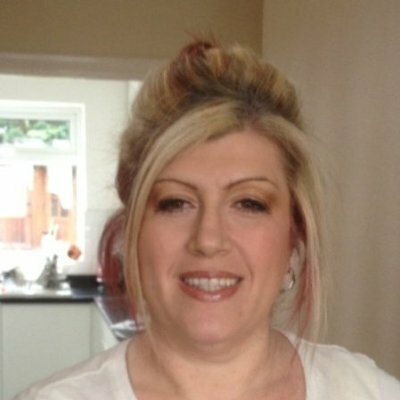 Lymphatic massage on the face can be carried out to enhance this treatment. Auricular candle therapy is not a cure it is a complementary therapy.